If you love girly style and delicate designs, diamond bow rings might catch your fancy. These pretty designs make a surprising and unique choice for your engagement ring, and you'll be sure to love your bow ring for years to come. What is your budget? Knowing how much you and your fiance can spend will help you choose a bow ring that won't put a strain on your pocketbook. Do you like to get noticed or prefer to keep a low profile? Choose a ring that's flashy and fun or understated and sweet. How much do you know about diamond quality? Educate yourself on cut, clarity, carat, and color before buying any type of diamond ring. Click on any of the rings in this slideshow for direct retail information. There are several advantages to bow-style diamond rings. These designs offer classic beauty at a fairly affordable price. Many rings, like this 10-karat white gold bow ring, are available for far less than the cost of a typical diamond engagement ring. 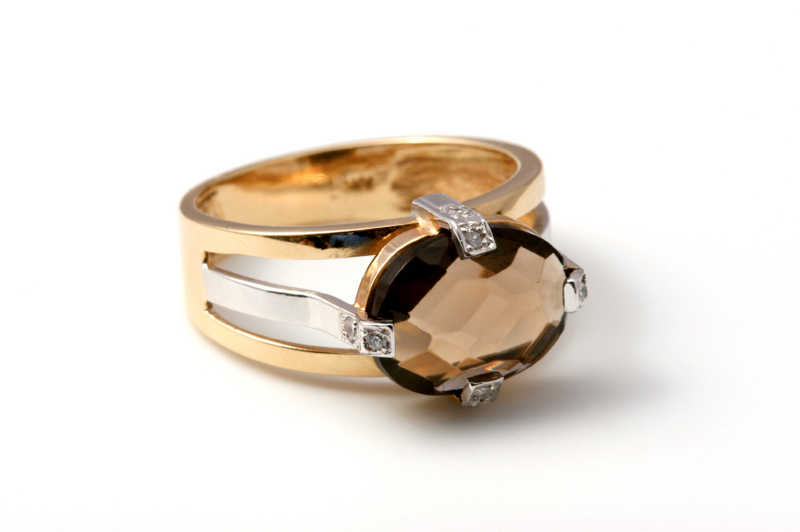 Many bow rings also feature diamonds in contrasting colors. This tuxedo-inspired offering sparkles with rows of black and white diamonds. The sharply contrasting diamond shades help to highlight the pretty lines of the bow design. Some diamond bow designs include black enamel to help highlight the sparkling diamonds. Enamel is created by fusing melted glass to the metal of the ring, and it offers a reflective surface to help show off the gems. Although many bow rings feature a heavy dose of pave sparkle, there are some very simple designs on the market as well. This ring has a tiny bow made of diamonds, and it makes an understated engagement ring option. Your bow ring doesn't have to be crafted from gold. In fact, sterling silver bow rings can be just as lovely and much easier on the pocketbook. This diamond and enamel sterling bow ring is a beautiful option. If you really want to make a statement with your diamond bow ring, consider a pave design. This chunky black and white diamond option is a great choice for those who want to get noticed.